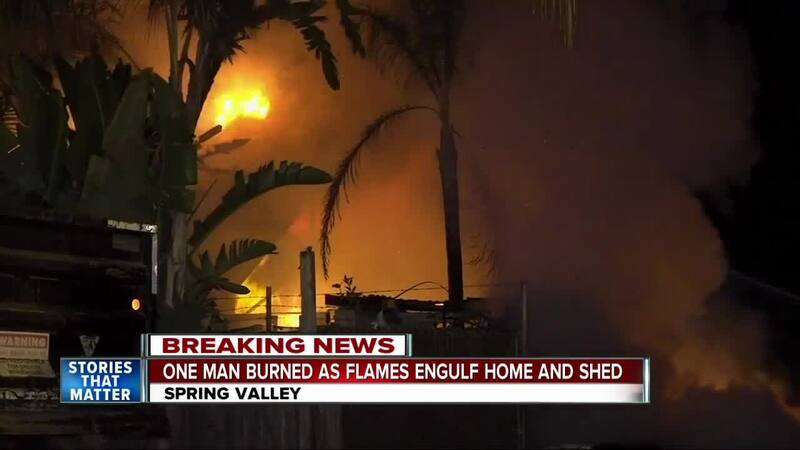 SPRING VALLEY, Calif. (KGTV) - One person was injured after a fire erupted at a Spring Valley home early Thursday morning. The fire broke out just after 4 a.m. at a home in the 8800 block of Olive Drive, according to fire officials. The cause of the fire is under investigation, but officials said the blaze burned the home and a large shed in the backyard. 10News learned the homeowner suffered minor burns as he escaped the flames. A San Diego Gas & Electric crew was at the scene to evaluate any affected gas lines.